VAT Accounting Software is ideal for mid-sized companies dealing with inventory, warehousing, job costing, pharmacies, general trading or contracting. Affordable, intuitive, easy to use and robust, Coral Lite has become the preferred accounting software for several medium-sized companies in UAE. Coral Lite is extremely scalable as well and can easily adapt to meet your growing business needs. Migrating to Coral Lite is easy – we provide free installation and online support. With the Coral Lite accounting software, you can manage Billing records, Inventory details, Tax records, Voucher entries, Sales and Purchase order records, customer-vendor records and similar financial records all at one place. 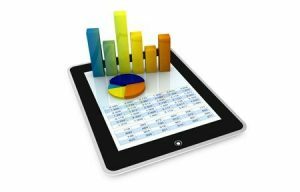 Our software precisely calculates the general ledgers including Balance sheets, Trial balance, Financial Bills and Profit/Loss details in a few steps. Preparing sales and purchase orders is easy with Coral Lite’s accounting software. You can effortlessly create clear and precise accounting reports that will help review annual financial transactions. Coral Lite is an end to end accounting application that is extremely reliable and easy to use. It can be learned easily by anybody and will liberate you from tedious and time consuming paper-pen financial tasks. Coral Lite, the Financial Accounting Software from Coral is a powerful yet flexible account management tool that helps manage an organization’s inventory and invoicing details. Its advanced inventory control module enables users to get full access and control to all accounting data for the entire organization. Apart from basic accounting software features like maintaining company records for product analysis and providing password protected authentication to prevent unauthorized access, Coral’s accounting software has many advanced features as well. Our accounting software will not only support basic functions but will also allow you to improve inventory levels, automate billing process and analyze sales/purchase data to improve the relationship with customers. Preparing sales and purchase orders is easy with Coral Lite’s accounting software. You can effortlessly create clear and precise accounting reports that will help review annual financial transactions.